migraines and eventually stopped having them as much. While this is just one story, my mom is not the only person to use marijuana for her migraines, and not the only one to use it for a health problem. Before the legalization of recreational marijuana, medicinal marijuana was already used by numerous people, including migraine suffering patients like my mom. Among migraines, marijuana is actually used for a variety of issues, ranging from nonlife-threatening issues like migraines to very serious conditions like cancer and epilepsy. Is the cannabis plant (from which marijuana comes) truly successful in helping these folks? The answer to that question is yes, it is indeed a form of medicine that is capable of treating multiple maladies. In fact, medical marijuana is recognized as a treatment for mig raines and other issues. The Compassionate Use Act deemed appropriate the medical use of marijuana for numerous conditions, including “anorexia, cancer, . . . migraine, nausea . . .” according to the article, Medical Cannabis: Where Do We Stand Today? (Fares 66). In the everchanging world of medicine, cannabis (better known as marijuana) is growing in popularity but is still perhaps one of the most misrepresented herbal remedies of our time. When one thinks of marijuana use, they might picture the stereotypical scene in which a group of youngsters sit around smoking a joint, coughing and becoming intoxicated. While this is easy to picture, it is certainly not always the case. Marijuana is gaining credibility as a safe form of medication. Despite the fears surrounding this drug, the scientific data that will be discussed suggests that medical marijuana is in fact an effective treatment for some health issues, including migraines, epilepsy, and the side-effects of chemotherapy. These data are meant to help people with these health issues consider that marijuana may just be the medicine they need. Ultimately then, my goal is to demonstrate that marijuana is useful in the field of medicine for ailments like migraines as aforementioned, cancer, and epilepsy. One of the most important ailments treated by marijuana is cancer. Cannabis isn’t going to cure cancer any time soon, but there is reason to conclude that it does help with the negative affects of cancer treatments such as chemotherapy. To elaborate, marijuana is used for cancer patients and provides pain and nausea relief which makes chemotherapy less difficult. To back this up, the article, Marijuana and Cannabinoids, states that “The FDA has . . . approved the synthetic cannabinoids dronabinol and nabilone to treat nausea and vomiting associated with cancer chemotherapy.” To clarify, synthetic cannabinoids mimic the active ingredient of cannabis which is THC (tetrahydrocannabinol) (“Marijuana and Cannabinoids”). Cannabis even has the potential to be very useful in the battle against cancer in the future. According to the Article, Marijuana as Medicine, “recent animal studies have shown that marijuana extracts may help kill certain cancer cells and reduce the size of others” (“Marijuana as Medicine”). These data emphasize the need for cannabis to be further studied, because if this development is someday found to be true for humans, that would be an enormous breakthrough. Epilepsy, a condition that causes seizures and other neurological issues, is another health problem that can be treated by medical marijuana. 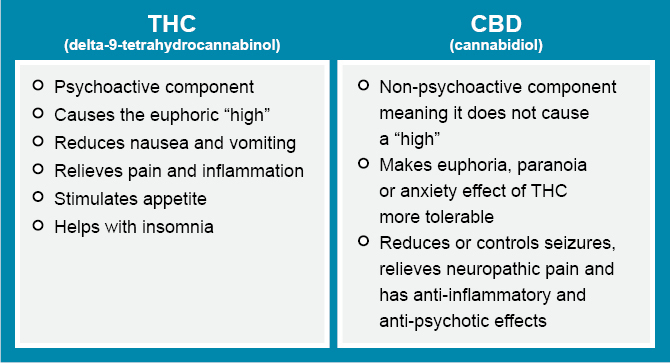 According to the article, Pharmacological and therapeutic targets for ∆9-tetrahydrocannabinol and cannabidiol, “Consideration of the known effects of CBD . . . suggests that it too has therapeutic potential, for example as an anti-inflammatory and neuroprotective agent, for the management of epilepsy . . .” (Pertwee 79). Interestingly, medical marijuana treatment for epileptic children is not unheard of, and it is indeed an effective form of treatment for the disease. While giving children cannabis seems rather odd to many people, there are ways to treat epileptic children with this drug without the “high” effects that frighten the parents of these patients. For example, the article Pot for Tots: Children and Medical Marijuana attests that “a liquid, non – psychoactive form of marijuana was found to reduce seizures for children with Dravet’s syndrome, a rare form of childhood epilepsy” (Rollins 59). While this statement is not based on a large study size, the data is compelling on behalf of cannabis’ regulatory effects on epilepsy. Skeptics of medical marijuana bring up valid arguments, such as how this drug is new and that “we don’t know enough about it to use it.” It is true that it has been brought into modern day medical practice rather recently, but do patients not use new, experimental medications all the time for serious conditions such as cancer? The article, Pot for Tots: Children and Medical Marijuana, adds to the latter point. In response to experts saying that there is not enough information about the side-effects of cannabis use, the author Judy Rollins, states “that the same is true for other medications used to fight pain and nausea that are currently given to children with cancer” (59). These medications include opioids, which carry the danger of overdose (Rollins, Judy). In the article, The Highs and Lows of Medical Marijuana, author Jill Vargo Cavalet states that “no deaths have been reported from marijuana overdose” (41). Comparing these data with those of the more commonly used opioids, consider the article, Increasing Prescription Opioid and Heroin Overdose Mortality in the United States, 1999-2014: An Age-Period-Cohort Analysis, which states that “Since 1999, the rate of overdose deaths involving opioids (including prescription opioids . . .) has nearly quadrupled” (Huang et al. 131). This means that as far as the data goes, marijuana is actually safer than opioids in that people have a much lower chance of dying from a marijuana overdose than an opioid overdose. Another concern brought up about medical marijuana is the hallucinations that can result as side effects. It is true that certain cannabis strains have hallucinogenic side effects, but they are not always used in medicine. According to the book, CBD: A Patient’s Guide to Medicinal Cannabis, the recommended strains contain higher amounts of CBD than THC, as CBD does not carry the hallucinogenic side effects that THC does (Leinow, Leonard and Juliana Birnbaum 67-68). 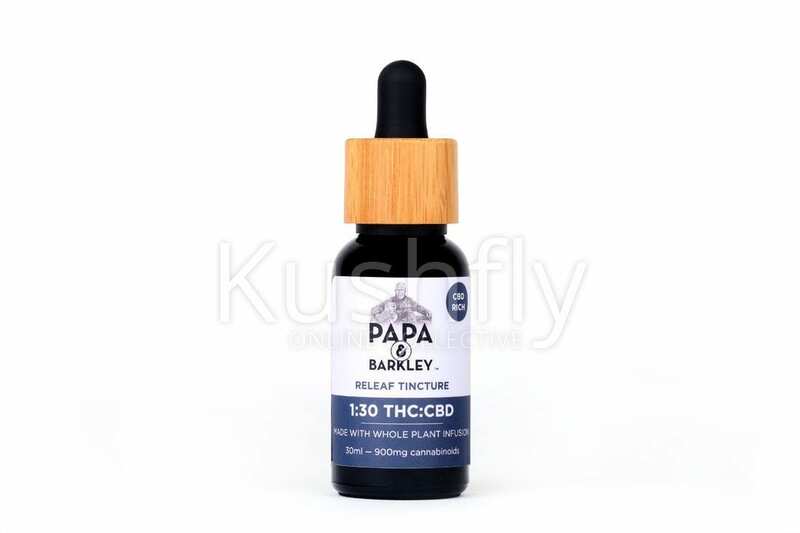 So basically, it’s really very easy to avoid hallucinating from marijuana, as one only needs to find a strain with low amounts of THC and a generous amount of CBD. From the data discussed here, it can be concluded that medical marijuana provides benefits for people with migraines, cancer, and epilepsy. For migraine sufferers, marijuana acts as a reliever of stress, which decreases migraine intensity and frequency. For cancer patients, medical cannabis (marijuana) is used to lessen nausea and loss of hunger which are both associated with chemotherapy. Cannabis also provides control over the symptoms of epilepsy by reducing the number of seizures experienced by patients. While it is under-studied, cannabis has shown its potential as a safe medicine. As more studies are done on this medicine, more good things will likely be learned about its properties. As mentioned before, medical marijuana is an important issue because it has the potential to increase the quality of life for many people. People like my mom have already benefitted from this medicine, and there is hope that in the future, folks with various conditions will consider and recognize medical marijuana as an opportunity to help them with their ailments. Overall, my hope is that more people will take marijuana into account when choosing a medication for pain, stress, nausea, and more serious issues like epilepsy. Fares, Marielle. “Medical Cannabis: Where Do We Stand Today?” AMWA Journal: American Medical Writers Association Journal, vol. 33, no. 2, Summer 2018, pp. 63–67. EBSCOhost, search.ebscohost.com/login.aspx?direct=true&db=a9h&AN=131616634&site=ehost-live. Accessed: 30 October 2018. Leinow, Leonard and Juliana Birnbaum. CBD: A Patient’s Guide to Medicinal Cannabis. Berkeley, North Atlantic Books, 2017. Date Accessed: 1 November 2018. “Marijuana and Cannabinoids.” National Center for Complementary and Integrative Health. Revised 25 October 2018. nccih.nih.gov/health/marijuana. Date Accessed: 30 October 2018. “Marijuana as Medicine.” National Institute on Drug Abuse. Revised June 2018. http://www.drugabuse.gov/publications/drugfacts/marijuana-medicine. Date Accessed: 30 October 2018. Pertwee, Roger. “Pharmacological and Therapeutic Targets for ?9 Tetrahydrocannabinol and Cannabidiol.” Euphytica, vol. 140, no. 1/2, June 2004, pp. 73–82. EBSCOhost, doi:10.1007/s10681-004-4756-9. Accessed: 30 October 2018. Rollins, Judy A. “Pot for Tots: Children and Medical Marijuana.” Pediatric Nursing, vol. 40, no. 2, Mar. 2014, pp. 59–60. EBSCOhost, search.ebscohost.com/login.aspx?direct=true&db=a9h&AN=95718116&site=ehost-live. Accessed: 30 October 2018. Vargo Cavalet, Jill. “The Highs and Lows of Medical Marijuana.” Clinician Reviews, vol. 26, no. 10, Oct. 2016, pp. 40–53. EBSCOhost, search.ebscohost.com/login.aspx?direct=true&db=a9h&AN=119006956&site=ehost-live. Accessed: 30 October 2018. Xiwen Huang, et al. “Increasing Prescription Opioid and Heroin Overdose Mortality in the United States, 1999-2014: An Age-Period-Cohort Analysis.” American Journal of Public Health, vol. 108, no. 1, Jan. 2018, pp. 131–136. EBSCOhost, doi:10.2105/AJPH.2017.304142. Accessed: 30 October 2018. Next Next post: Are People Using Too Much Electronics?